The pianist John McAlpine was born in Rawene, New Zealand in 1947. He studied Music at Victoria University of Wellington from 1969 to 1972 where his piano teachers were Diny Schramm and Barry Margan. As a student he was involved in performing and organising concerts of music by young New Zealand composers including Lyell Cresswell, Ross Harris and Jack Body. In 1973 he settled in Cologne, Germany where he studied with Aloys Kontarsky and Wilhelm Hecker. After moving to Europe, John McAlpine continued to perform and promote New Zealand music, with concerts in New Zealand House, London with violinist Miles Golding and at the New Zealand Embassy in Bonn with baritone Nelson Wattie, as well as a recording for the German radio station Deutschlandfunk of piano music by New Zealand composers. For Deutschlandfunk he also wrote and presented a documentary program on contemporary music in New Zealand, which was later published in the German magazine MusikTexte and, in English, in the World New Music Magazine of the International Society for Contemporary Music. 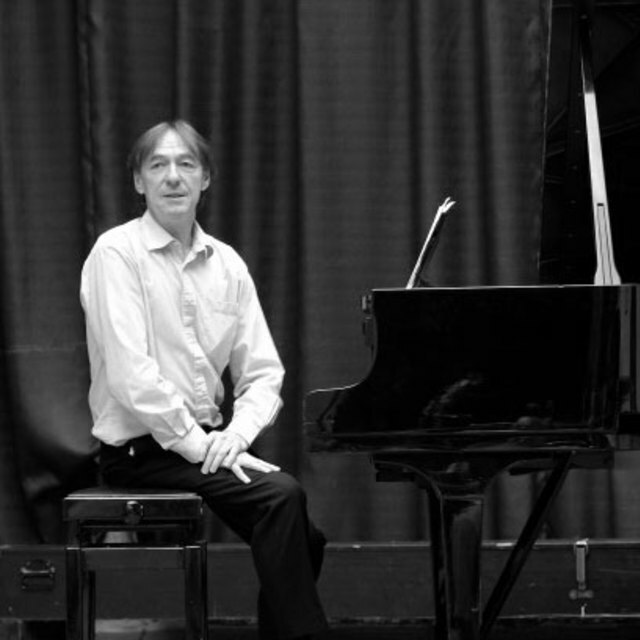 Specialising in contemporary music, John McAlpine has performed in New Zealand, Europe and the U.S.A. He has played with many ensembles including Music Players 70, Ensemble 13 Baden Baden, Kammerensemble Neue Musik Berlin, and C. Newman and Janet Smith. Howard Skempton, Tom Johnson, Chris Newman, Makiko Nishikaze and other composers have dedicated pieces to him. His CD of John Cage's Four Walls on Largo label was on the critic's Top-Classic-List 1995 in the German Magazine NMZ (Neue Musik Zeitung). CDs of piano music by Jurg Frey (Switzerland), Makiko Nishikaze (Japan) and American minimalist Tom Johnson have been released on Edition Wandelweiser Records. A recording of works by Chris Newman on Telos Records is forthcoming.